Thank you all for sharing your expression of how you reconnect to your body. I’m also loving the furry participants too! 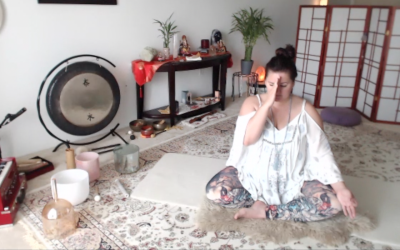 Here’s a recap of Day 4’s MELT and Yoga Challenges . . . Snap a pic of the MELT Rest Assess or your favorite assessment or resting posture! I LOVE LOVE LOVE the Rest Assess! In yoga its used at the end to soak in the sweetness of our practice. In MELT, we use it to assess how our body is resting before and after treatments. It has NOTHING to do with fixing anything or trying to be perfect. It’s the time we give ourselves permission to get out of our common senses and heighten our Body Sense or proprioception. There’s an immediate shift in our nervous system the second we allow ourselves to go inside and notice what’s happening in this moment. It’s quite yummy and beautiful to give this time and attention to our body! The yogi’s call it Savasana, but we use the MELT Rest Assess as a way to check out our alignment. Now, the rest assess isn’t for judgment, since ideal alignment is simply an anatomical model. However, it does allow us to heighten our body sense and track the changes during our practice! Day 18 of #flowittogether is #flyinglizardpose, uhm which I’ve never attempted before, and still couldn’t get by the end!! Very hard to get air time!! So, here is my modification – straightening both legs!!! This year has been about trying to settle in to my new reality, Sometimes you never realize how much you need someone until their gone. I’m learning to lead with my heart instead of my head. I’m trusting in the part of me. my heart and soul, that knows how to walk this path of healing and grief. My mind likes to get stuck in the whirlwind of thoughts of what has happened, what could of been, how it would’ve been different if . . . etc., etc.. These words by Caroline Myss give me great comfort today! Love and Light!